Imlil day trip Marrakech: A day excursion to the Atlas Mountain from Marrakech to visit the magical site Imlil. You will take a guided trek around villages and enjoy magnificent panoramic views of the Atlas Mountains. Imlil situated in the heart of Mizane valley, it is the most popular trailhead in Morocco. It is about an hour 30 minutes drive from Marrakech to Imlil, the main starting point of treks. We will continue through the valley of Tahnaoute and Asni. 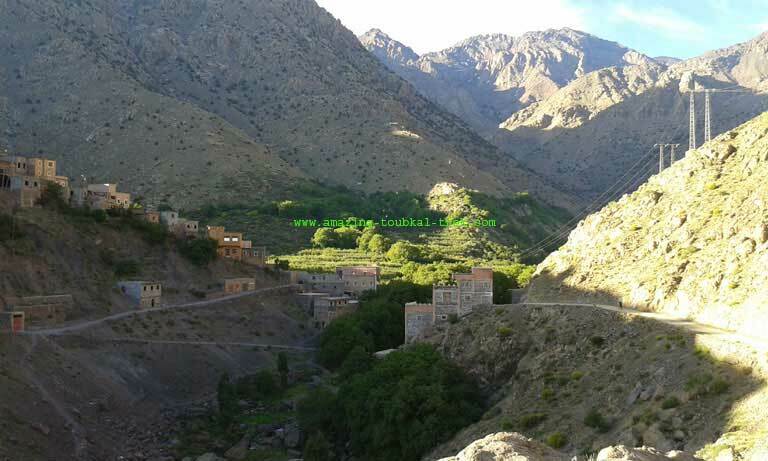 And in Imlil, we will take a walk of 2 to 3 hours through villages then visit the beautiful Toubkal Kasbah in the valley. It is possible to ride mules around Berber villages and enjoy the stunning views. In the afternoon, after you enjoy a traditional lunch in a Berber Guesthouse, we will retrace our steps when we return to Marrakech. 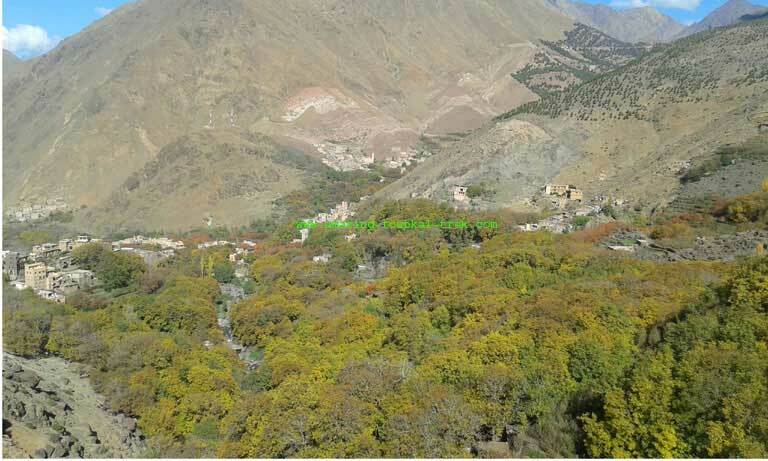 – Explore Berber villages of Imlil valley in the High Atlas Mountain. – See Mount Toubkal, North Africa, and Morocco’s highest peak. – Imlil day trip Marrakech is available and can be arranged for groups of all sizes. 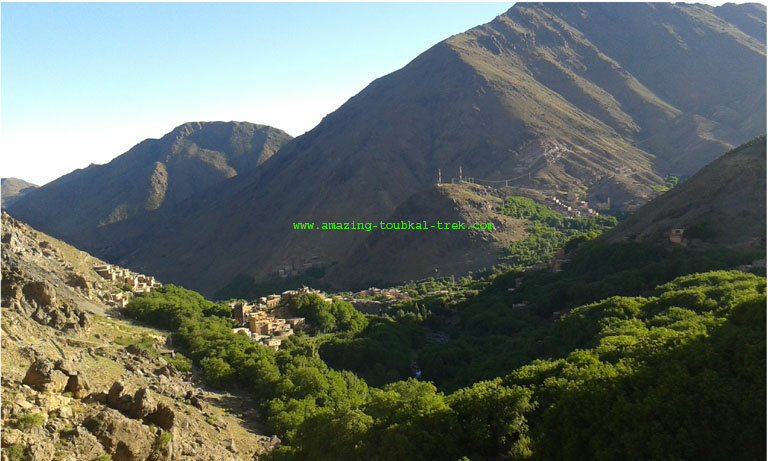 Imlil day trip Marrakech: A day tour to the Atlas mountain and Mizane valley. Day Excursion to Atlas Mountain, Imlil Day Trip Marrakech.